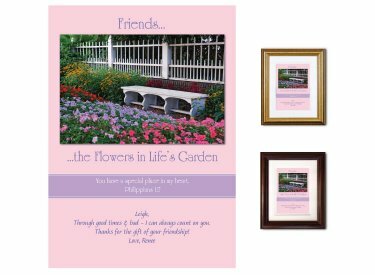 If you're looking for a special gift for a cherished friend, it's hard to beat this piece. The eye-catching image beautifully illustrates the garden theme. Your special message is the finishing touch.